verb (used without object): to send a text message: Texting while driving is an accident asking to happen. -to send a text message about or containing: He texted a long wish list to his parents two days before his eighteenth birthday. -to send a text message to: The only way I can ever reach her is to text her. This is what text as communication has come to mean to me and several other Net-Geners today. Texting is becoming the primary form of communication amongst many people in this the digital age as their cell phones are no longer considered an accessory, but rather an extension of themselves and with that logic, communicating via a text is as organic as communicating by mouth. People hardly talk on their cell phones anymore. They have created a whole new language through which to communicate and it is the language of text messaging. 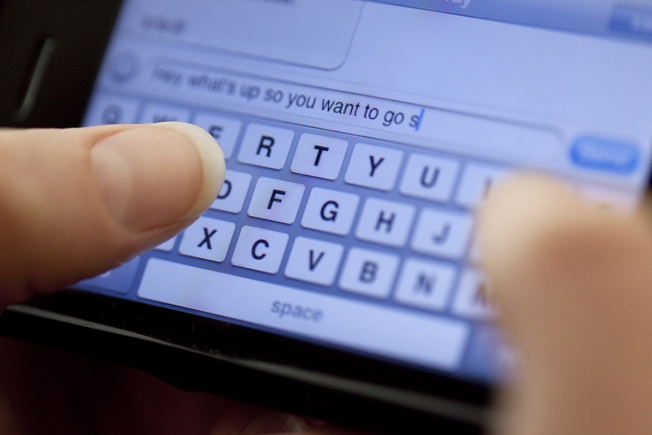 “Canadians sent 19.5 billion person-to-person text messages in Q3 2011. 6.7 billion person-to-person text messages were sent in September 2011 alone, which represents an average of approximately 224 million messages per day. It’s estimated that over 8 TRILLION text messages were sent globally in 2011” (Whent 2012). My thumbs are sore just thinking about that! I think text messaging is the new email. I often use Whatsapp to communicate with my friends. It is very similar to BBM, where as long as you have a pin, or in this case, their phone number, you can text them for free! I use it very often and it groups your messages, even allowing you to create groups and send multi-texts at once! I think the younger generation would agree with you. I’ve often heard that students think email is passe. I rarely sent text messages before I moved from Canada to Malaysia. I was surprised that everyone in Malaysia used their phone exclusively to text. Everyone! I think this is because “text speak” is a common language. If you speak Malay, English, or Mandarin, for example, you still speak text. Everyone understands LOL, and SMS.